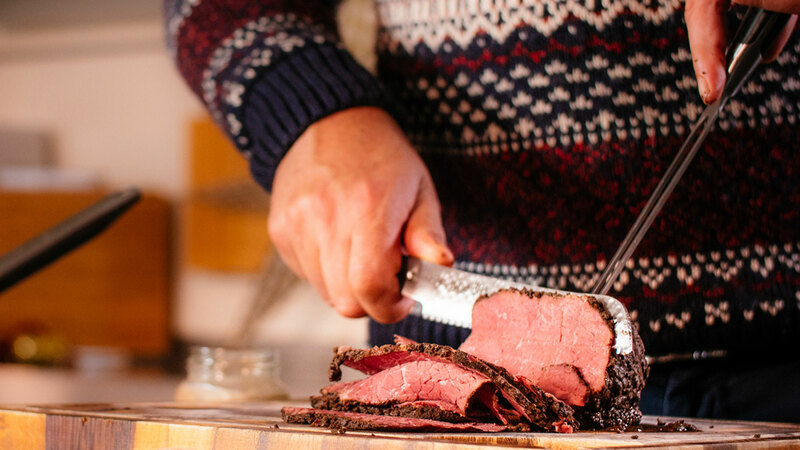 Consider cooking something different this Christmas with SuperValu's Spiced Beef. 1. To cook, first note the weight of the meat. Cook for 50 minutes per kilo of meat. 2. Remove all packaging and place in a saucepan of cold water. Bring to the boil and reduce to simmer slowly with a lid. 3. Remove from the water and place onto a wooden board. 4. Carve and serve immediately with your favourite side! Slow cooked red cabbage is a great one here!